Things with batteries that bring a girl pleasure? Get your mind out of the gutter. This one’s furry and roughly the size of two potatoes stacked on top of each other. In an era of robots that can make facial reactions and voice software that includes ums and uhs a bit too realistically, a toast to the Furby on its twentieth birthday. A salute to “dumb” robots. Have you hugged a Furby? They aren’t soft. Their plastic shell is covered by patches of multicolored faux-fur, but there is something undeniably charming about them. The robotics of the original Furby was crude. They had a small, loud motor and a loud click of plastic on plastic accompanied each blink of its over-sized eyes or opening of its beak. But there was something so, so charming about them. Millennials grew up playing a different kind of pretend than our predecessors. The original talking toy, Teddy Ruxpin, read us bedtime stories. Sure, girls my age played with dolls, but our Cabbage Patches could eat (horrifyingly, even accidentally swallow their playmate’s hair.) We showed off Tamagotichis and Digipets during recess. We could hide them in our pockets and had to feed them between math questions. They changed before our eyes and died when we didn’t take care of them. 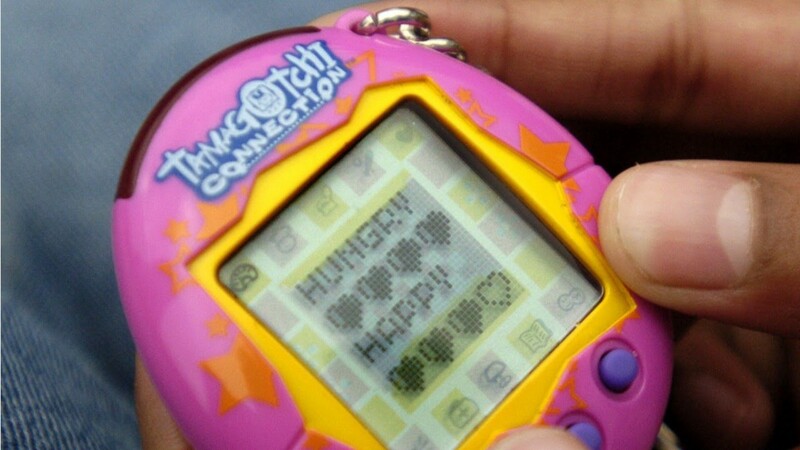 After only a day of ownership of the demanding little oval, Patricia Ward Biederman wrote in the LA Times, “I have decided to find someone I really don’t like and give them my Tamagotchi. She was an adult, though. How could she understand the pleasure of developing a relationship with something that “listened” to you? Robots, unlike humans, followed instructions. Sure, we may have sent their digital ghosts to digital heaven out of digital neglect, but my generation didn’t imagine the interactions, we lived them. Enter the Furby and its addictive nature. In his interview with the Times, Hampton described set interactions that Furbys would perform, like sneezing or purring when pet. Furbys spoke in a coo-ing language called Furbish when first activated. Words in their seemingly fictional vocabulary had real meaning in some cases. The often-repeated phrase “da” means “big” in Mandarin, Hampton told Steinberg. When a Furby sensed bright light, it said, “ay lo,” close to a Hebrew word for God. Gradually, the original Furby would switch to speaking gradually over to 200 words of English. But they didn’t speak, not really. Their microphones and moving beaks are the pint-sized equivalents of those Chuck E Cheese robot performers. They also didn’t really listen to us, though it felt like they could have. Psychologist Shirley Turkle, in her famous research on Furbys, calls this “sociable robotics.” She asked the big question of how to walk the robotic landscape. For instance, Turkle described the way that children and adults acted differently with Furbys. 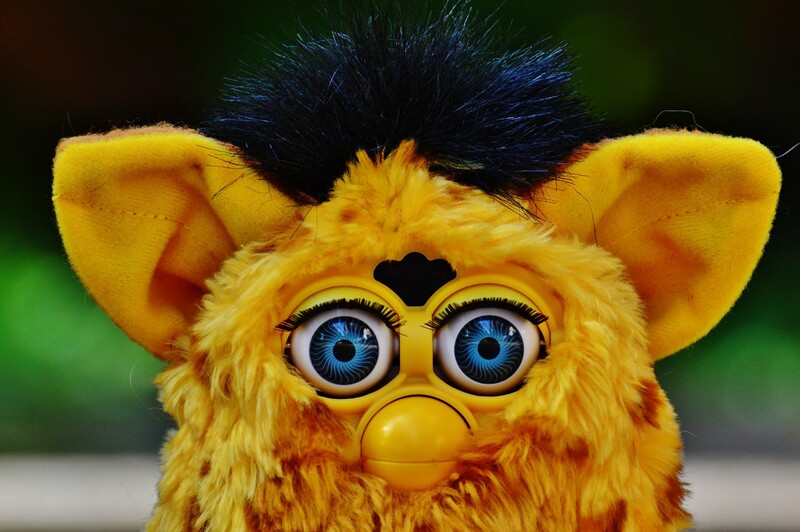 When an original Furby was turned upside down, it whimpered and said, “Me scared.” Children typically reacted to this “theater of distress” quickly to fix the situation, while adults, with a longer history of classifying the human versus non-human, viewed it with skepticism, knowing they weren’t torturers — but they still got upset when they saw the children fail to attend to a Furby’s cry. “She — ” I start, assigning a pronoun to a voice that comes out of a three by five-inch device I put in my pocket, and then I stop. I don’t know how to explain, so I don’t. While they didn’t have microphones inside, like the government once suspected, Furbys changed because of interaction like petting and rocking. Another reason why old-school Furbys were great? They were relatively dumb. A 2017 report in the New York Times showed that toys with Bluetooth connectivity, new Furbys have been found to be actual security risks. They have also sold less well — a change for the worse. The children who had these Furbys changed, too. In her article decrying the Tamagotchi, Ms. Ward Biederman wrote, “I’m finding myself a Beanie Baby because there’s nothing better than a toy that just lies there, silently, not doing anything.” The older, more educated, and more wealthy we get, the more likely we are to agree with her. Modern parents, especially middle to upper-class parents, emphasize the real over the screen-based. You won’t have to look for this holiday season to find dozens of lists of low- or no-tech toys. On the flipside, we embrace technology for ourselves, especially in throwback form. We scramble to get the NES re-release and even preorder a chance to kill off a Tamagotchi again. Original Furbys go for upwards of $350 on eBay. I don’t get it, but I do. I still remember the “Are you kidding me?” look on my parents’ faces when I popped my Furby out of its box. My Furby was gray with a white stomach. I covered its head with a cloth, then uncovered it. The Furby’s sensor reacted to the light, and it oo-ed and ah-ed. And I oo-ed and ah-ed. Growing up with robots didn’t ruin me. As a parent, my stomach clenches every time I read a warning about too-much-tech, but the opposite won’t save us either. There’s no way to completely unplug. Plus, taking care of Furbys prepared me to parent — not because it needed me or was alive. Instead, having the hot gift that ended up being less interesting than it was on TV showed me that still, you have to make your own fun (which people did with their Furbys, like this guy who made his into his Alexa). It also taught me tolerance for the holiday-wishes of my own children, who will soon be filling this house with the melodious sounds of Elsa doll who will constantly remind me to just let it go. I will.